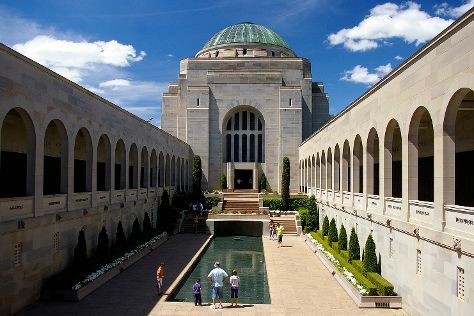 Your cultural itinerary includes sights like Australian War Memorial and Mugga-Mugga Cottage. Take a break from the city and head to Lake Burley Griffin and National Zoo and Aquarium. Explore the numerous day-trip ideas around Canberra: Gundagai (Gundagai Heritage Railway & Yarri and Jacky Jacky Sculpture), Morton National Park (in Wandandian) and Reflections Holididay Parks Burrinjuck Waters (in Burrinjuck). Spend the 20th (Wed) exploring nature at Namadgi National Park. There's lots more to do: look for all kinds of wild species at Floriade, grab your bike and head to One Tree Hill Lookout Walk (Centenary Trail), get curious at Questacon, and admire the natural beauty at Australian National Botanic Gardens. To find more things to do, photos, ratings, and other tourist information, read Canberra trip itinerary website . If you are flying in from Sweden, the closest major airport is Canberra International Airport. Expect a daytime high around 33°C in February, and nighttime lows around 15°C. Wrap up your sightseeing on the 27th (Wed) to allow time to travel back home.